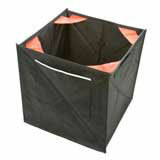 Deluxe Folding Throwline Cube for Equipment Organization and Storage. 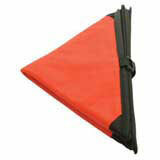 From a 17" cube to a small flat triangular pocket in seconds. 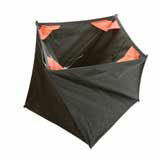 This large cube makes deployment of throwlines easy, plus storage fast and compact. 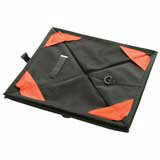 One extra large external pocket and two small internal pockets for stashing your weights and hardware. 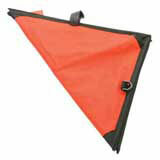 Use either the velcro strap or plastic dee to anchor and organize multiple throwlines.